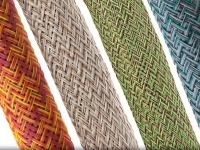 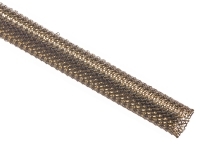 Flexo F6 wrap around braided sleeving’s unique split, semi-rigid braided construction make it the ideal solution for situations where ease of installation is of primary importance. 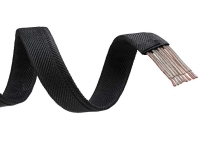 The lateral split allows the tube to open up to accommodate a wide variety of bundling requirements, and the semi-rigid braid configuration simply closes around the entire installation without the need for any additional fasteners (velcro, tape, etc.). 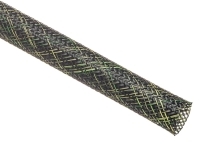 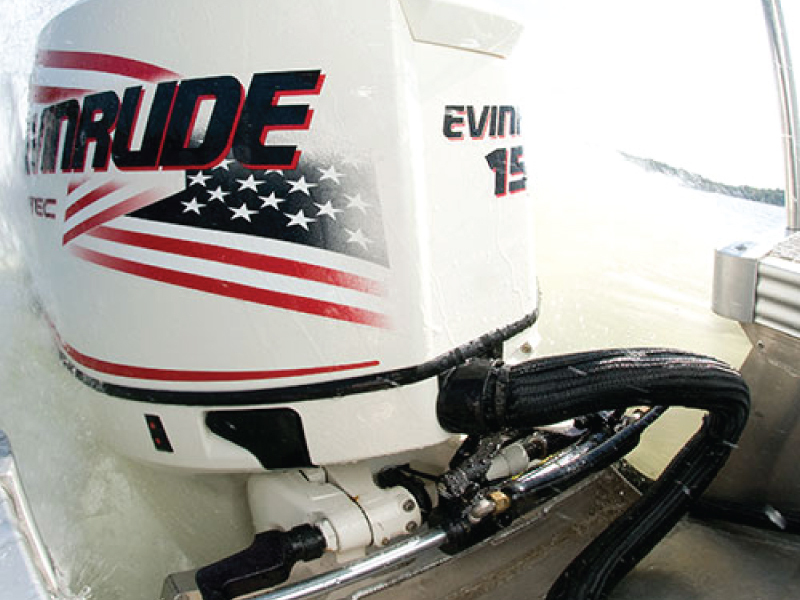 The 10 mil PET braid is lightweight, quiet and flexible. 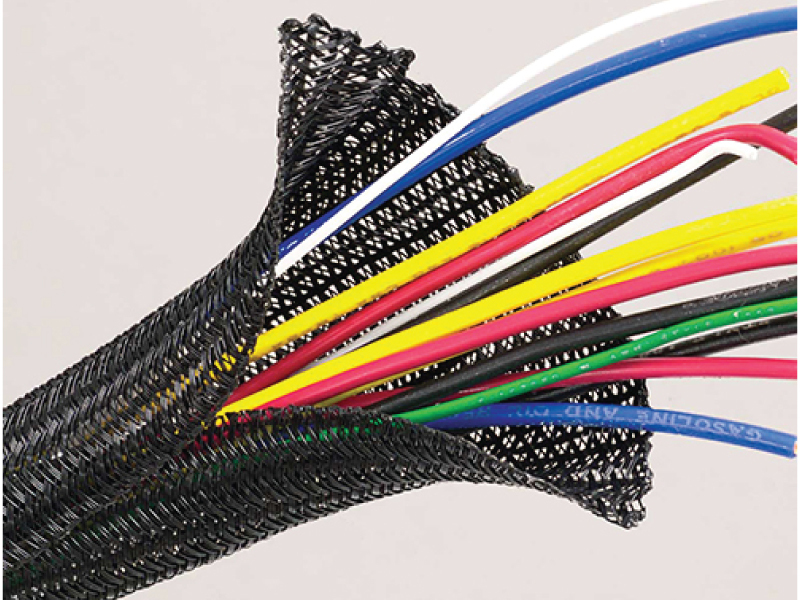 The 25% edge overlap (at nominal diameter) allows coverage around inline plugs, connectors and splices. 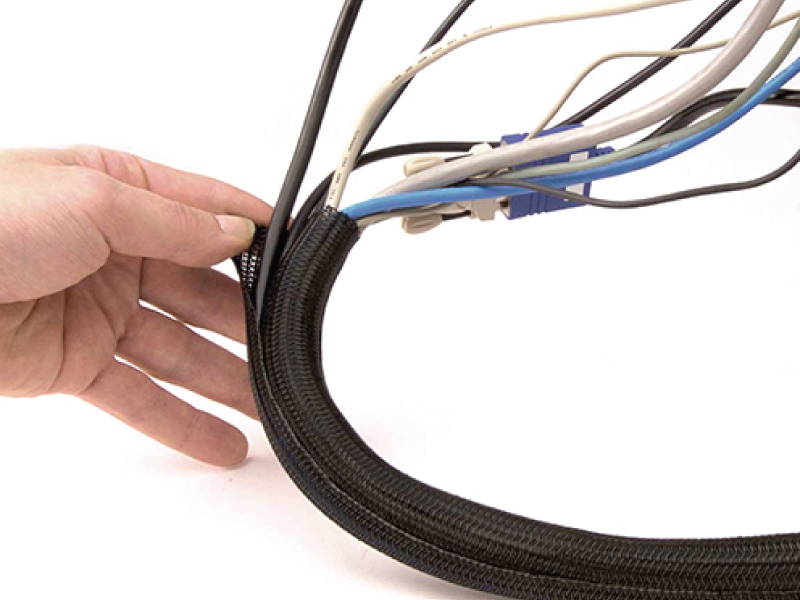 F6 will bend to a tight radius without distorting or splitting open and, unlike full rigid tubing, will not impair or affect the flexibility of harnesses.